Company: West Fraser Timber Co. Ltd.
of Jasper National Park and 2.5 hours west of Edmonton, Alberta. the top of the page. 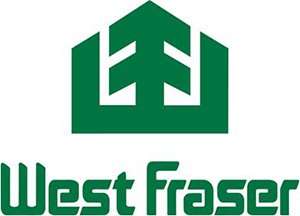 West Fraser is a diversified wood products company producing lumber, LVL, MDF, plywood, pulp, newsprint, wood chips and energy with facilities in western Canada and the southern United States. West Fraser has approximately 8,000 employees and is headquartered in Vancouver, British Columbia.